You are at:Home»Arts & Entertainment»Cinema & TV»American Horror Story: Coven is based on a true story…well, sort of! American Horror Story: Coven is based on a true story…well, sort of! On October 9, 2013, American Horror Story: Coven debuted on FX with at least three characters based on real life infamous Americans! First off, yes, most of the show’s plot and characters are the inventions of the show’s creative writers, but the story does have elements based in our country’s history. This approach is actually consistent with previous incarnations of the show as the original series did, after all, include notorious bisected murder victim Elizabeth Short a.k.a. The Black Dahlia in a memorable episode. This series (yes, series, not season, because for some reason when each incarnation of the show is nominated for awards, it is nominated as a miniseries…) features at least two actual historic personages as important characters portrayed by award-winning actresses: Marie Laveau played by Angela Bassett and Delphine LaLaurie played by Kathy Bates. 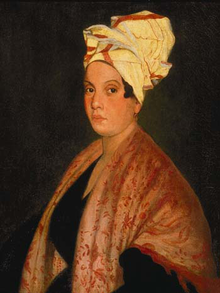 Marie Laveau (September 10, 1794 – June 16, 1881), the Voodoo Queen of New Orleans, was born of a white planter and free woman of color. Much of her career as a Voodoo Queen is shrouded in legends and mysteries. She may have had a snake named Zombi, owned a brothel, and “cured” clients of various ailments. 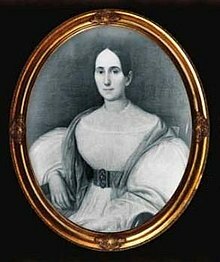 As with Laveau, many of the allegations against Marie Delphine LaLaurie ( c. 1775 – c. 1842) must also be called into question as possible later inventions of journalists or people looking to cash in on tourism by telling ghost stories. If true, however, the stories about her would unquestionably make her one of history’s most depraved individuals, rivaling even the Blood Countess Elizabeth Bathory. Among the crimes attributed to LaLaurie include excessive cruelty to slaves from whippings to tortures that one would expect to find in Dante’s “Inferno”! The most bizarre claims even suggest that she contorted the limbs of her victims or had portions of their skin removed to make them resemble a crab and a caterpillar, respectively. What happened next to LaLaurie remains largely a mystery, with one story claiming she was killed by a boar and another that she died in Paris. As for her house of horrors, for some reason or another, actor Nicolas Cage eventually bought her mansion in New Orleans for a cool $3.5 million! A third character is also based on a series of unsolved crimes from the early twentieth century, but he (or she?) is the subject of a separate article on this site! 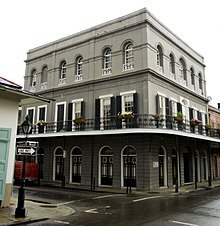 For more information on the factual versus the legendary Delphine LaLaurie, please examine Mad Madame Lalaurie: New Orleans’s Most Famous Murderess Revealed and for more on Marie Laveau, you might consider A New Orleans Voudou Priestess: The Legend and Reality of Marie Laveau . As for the upcoming series based in part on their lives, please visit the official website for additional information. You can also watch the American Horror Story: The Complete First Season if you are interested in the show’s beginnings.